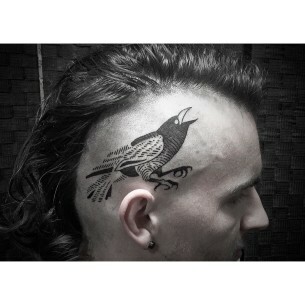 One main advantage of head tattoos is that they can be easily hidden just with the help of letting the hair grow. 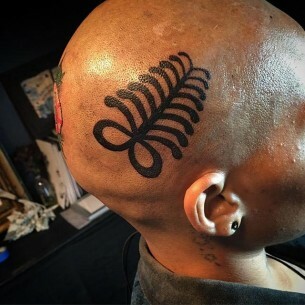 At the same time, such tattoo does not leave you any choice if you want to simply shave your head or you are simply getting bald naturally, your head is forever decorated with a drawing. 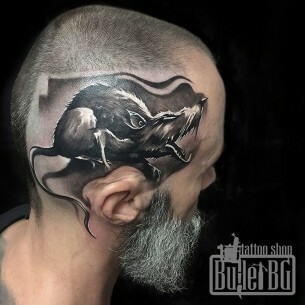 It is obvious that a tattoo placed on the head would definitely draw a lot of attention. However, it is an awesome chance to stand from the crowd, showing that you are different and not a common member of the society. 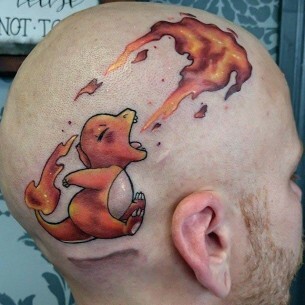 Such tattoos are often picked by people who have scars on their heads in order to cover them with something. 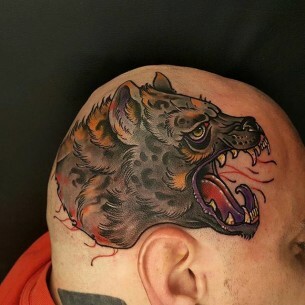 It takes a lot of courage to make a head tattoo and the designs are picked very different and vary a lot it can be bright, monochrome or even 3D tattoos. 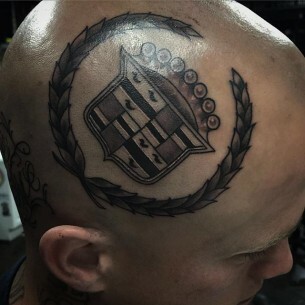 If the head is completely bald, there are no obstacles for the artistic creativity, while the hair on head provides some difficulties for a tattoo artist. It is recommended for the aftercare doesn’t let the drawing under direct sunlight, the usage of sunscreen and hats is necessary for a for a drawing not to get pale. 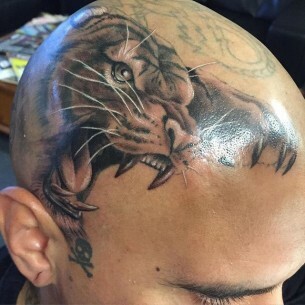 The head tattoo is not a placement choice solution for the first tattoo in life, usually, people already have ones. 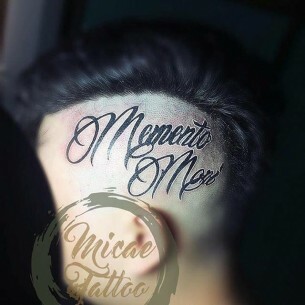 It is very hard to find a person who wants to place his or her first life tattoo on head, as there are less extreme placements. The fact of the tenderness of the area is also should be taken into consideration. 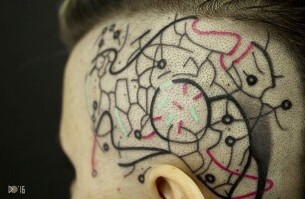 The skin here is thin and it would be rather painful to make a tattoo here. 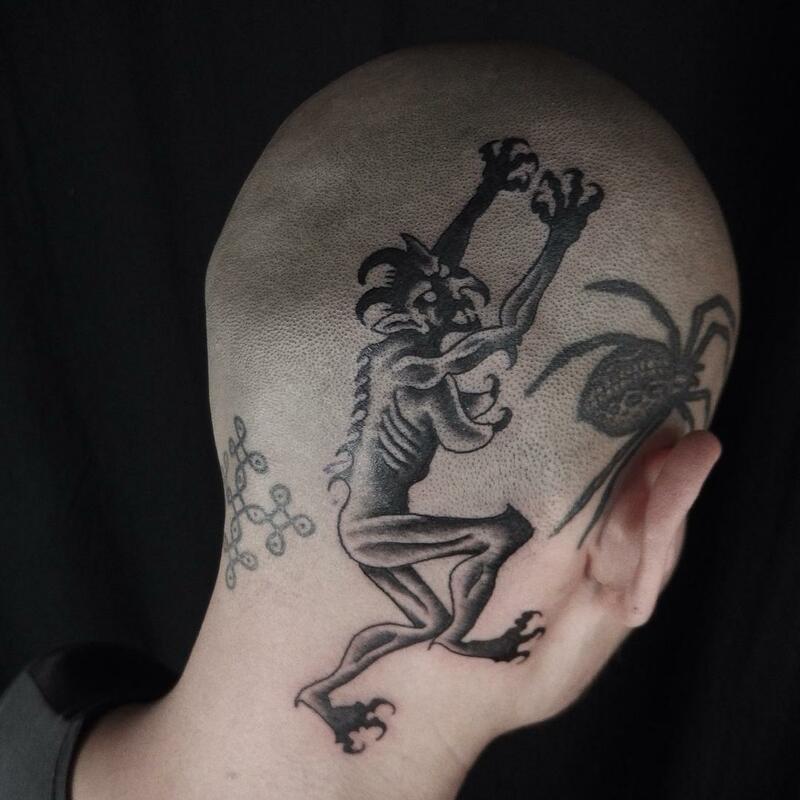 Think twice, if you are ready to stand the pain for several consequent hours. It is you to make this decision so, think wisely. 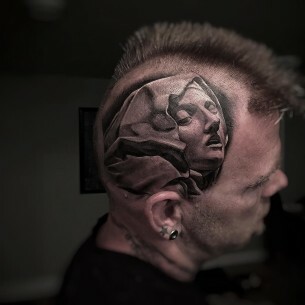 A head tattoo is not a new, but a very brave trend. Only brave and creative people make a decisions to make one for themselves. However, it will fit not for everyone and the society won’t treat it well. 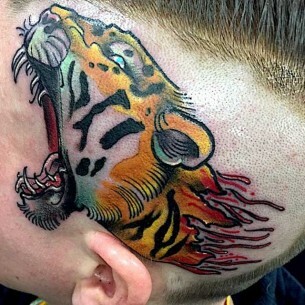 Different tattoo designs become the basis for a head tattoo, but usually they are huge and colorful. 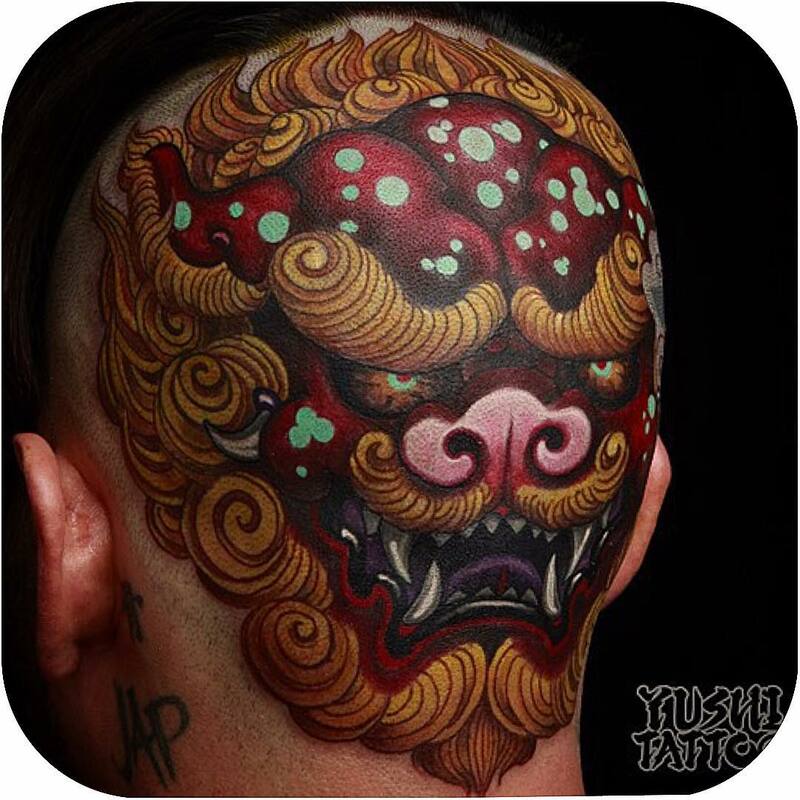 Sometimes people make simply a big eyes on all the head in different styles, it looks very original and interesting. 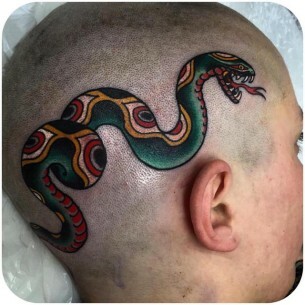 Women usually make head tattoo which start on a neck, and end on a back of the head or even higher. 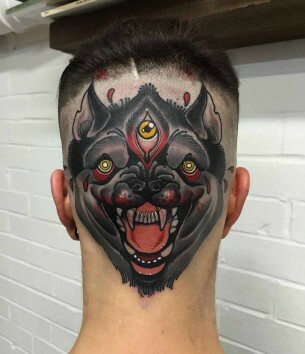 A head tattoo is just for girls with short haircuts and if the girl is fed up with that tattoo it can be easily hidden with a long haircut. 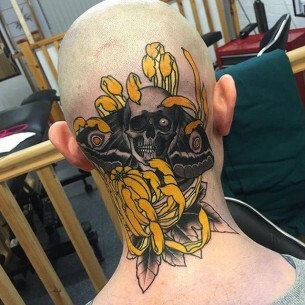 A head is not the place for a first tattoo as it is rather extraordinary and it is very painful to make it as the skin is close to the bone. 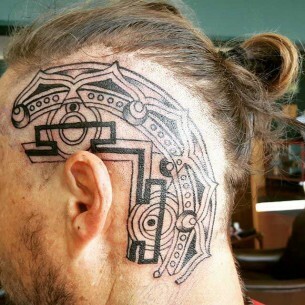 Remember, head tattoos demand your head to be shaved all the time, so be ready to do the shaving every day. It is easier for men, but it’s harder for women. 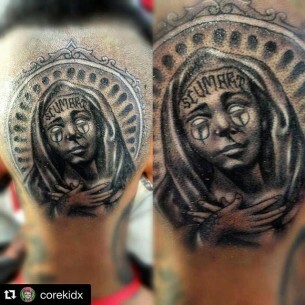 Tattoo is a responsible decision it will stay with you for the rest of your life, so think responsibly!